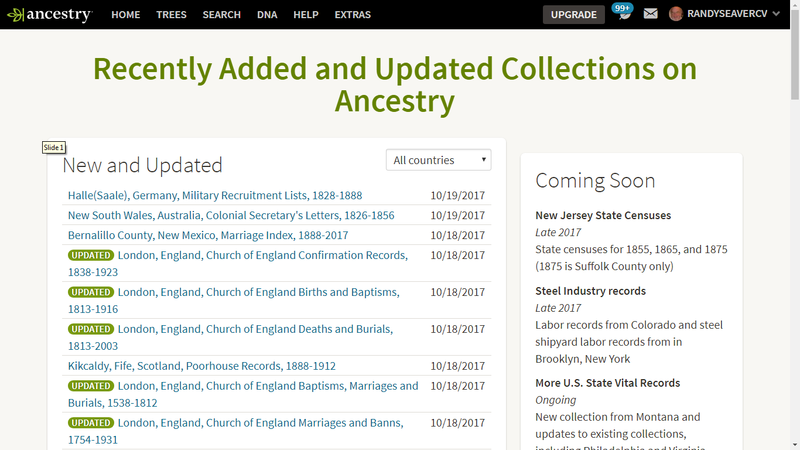 By my count, there were 3 NEW databases ADDED this past week, per the list above. 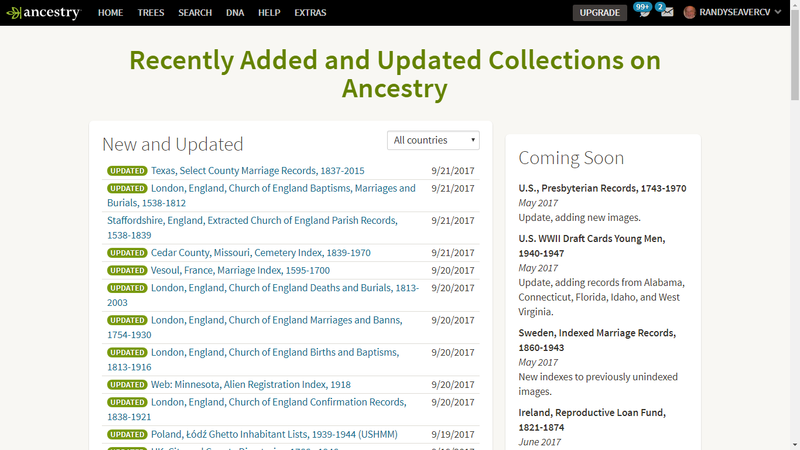 There are now 32,864 databases available as of 21 October, a decrease of 7 from last week (32,868 + 3 - 7 = 32,864). 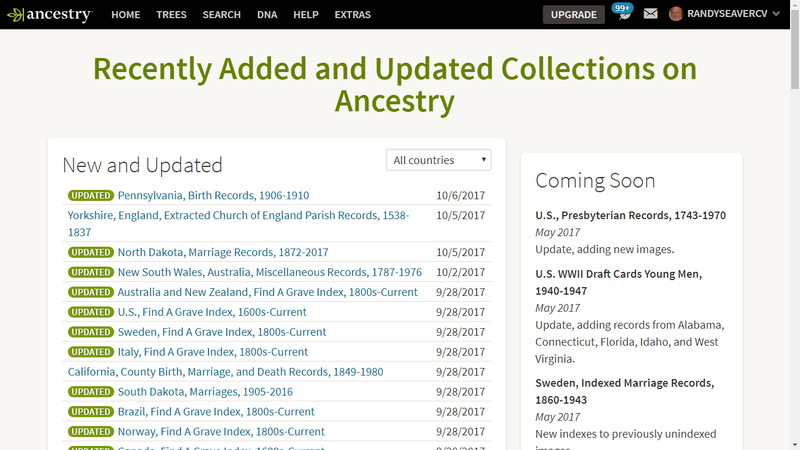 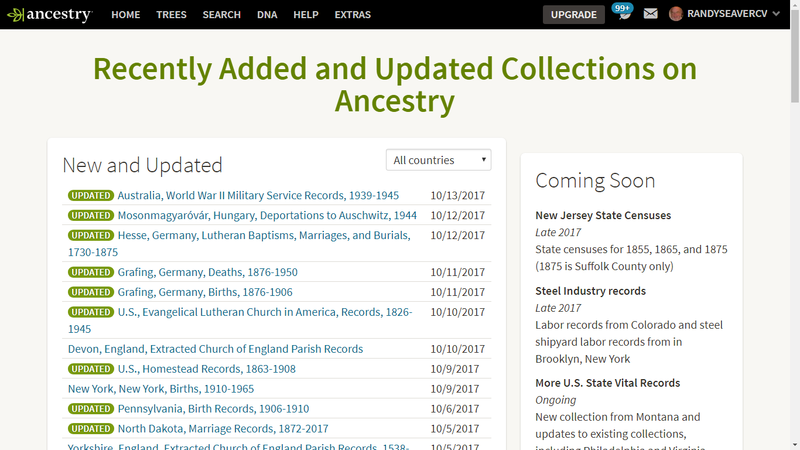 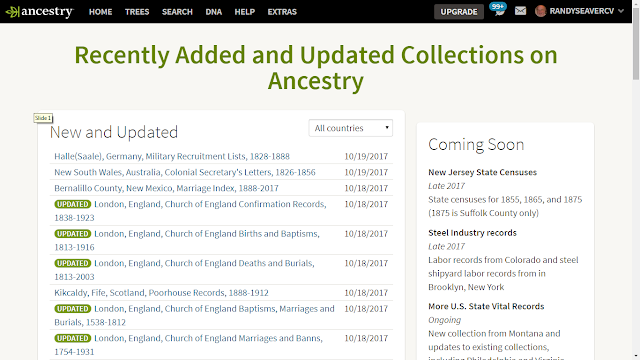 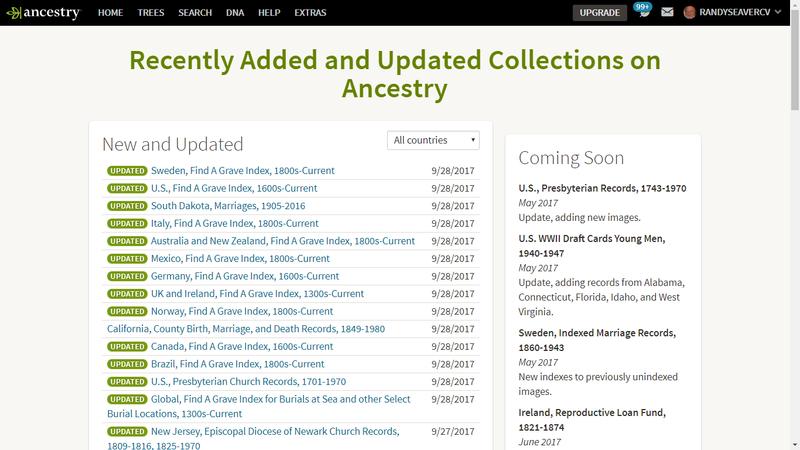 Which 7 Ancestry databases were removed?